Every year I print a new set of postcards featuring some of my favorite images. Two of these (the purple and green ones) came from background pieces I created as part of my collaboration project with the talented Bay-Area artist Liz Kalloch. The other three were from the Marble-itos I made for when I was featured in Uppercase magazine. 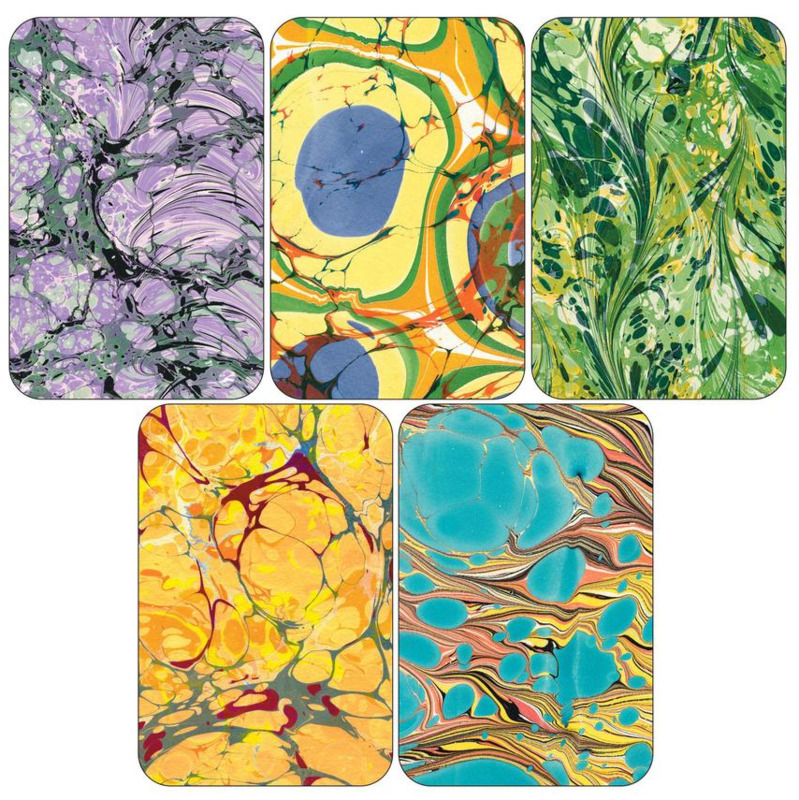 The set of 10 postcards (two of each design) comes wrapped in hand-marbled wrapping paper. Postcards measure 4" x 6", are printed on heavy, 15pt cover stock from environmentally sustainable forests, and have a lovely satin matte finish. One set of 10 postcards is $12. Buy two sets (each set individually wrapped) for $20! Head on over to the shop make your purchase.